Imagine being stricken with an unexpected medical condition that ended up sabotaging your ability to perform your usual job duties. Maybe it is an autoimmune disease or cancer—any life-impairing health condition—that you notice is thwarting your efforts to continue with your usual standard of performance on the job. Does the boss fire you? No, in most cases the boss is sympathetic and accommodating, allowing you to reduce your responsibilities or hours, or even take a leave, while you seek treatment. Now replace that medical condition with a mental health disorder such as depression. Depression can be at least as debilitating as a physical health problem, but some employers may still attach a stigma to it. They may not recognize that the symptoms that are negatively impacting productivity or attendance are truly valid, and may not be as willing to accommodate you during the depressive episode. Thankfully, laws are in place to protect us from being discriminated against or losing a job due to depression, or any other mental health disorder under most conditions. By having a clear understanding of employee rights you will be armed with the information that can help prevent losing a job due to depression. Is Depression Considered a Disability? When the depression is considered to be a long-term condition, an employer cannot discriminate against the employee who is struggling on the job. An employer is not permitted to fire an employee due to a mental health disorder, nor is the employer allowed to reject someone for a promotion or a job, or to force someone to take a leave. Employees struggling with depression have a right to ask for reasonable accommodations that will allow them to keep their job while they are dealing with the disorder. They have a physical or mental impairment that substantially limits one or more major life activities and/or bodily functions. Major life activities include caring for yourself, performing manual tasks, seeing, hearing, eating, sleeping, walking, standing, lifting, bending, speaking, breathing, learning, reading, concentrating, thinking, communicating, and working. Do You Have to Disclose the Depression? Some may be very concerned about losing a job due to depression, and are very resistant to revealing the nature of their condition. Although legally it is not required that an employee disclose the nature of their condition, in some cases it will be unavoidable. For example, if the employee requests reasonable accommodations, if they pose a safety risk, or if there is evidence that they are unable to perform their job duties it may be required to discuss the nature of the mental health situation. An employee that chooses to share with coworkers or management about their depression is free to do so. Is the Employer Required to Provide Accommodations? Employees have a legal right to request reasonable accommodations to help them perform their duties. This is so for a mental health condition that would, if left untreated, could substantially limit one’s ability to concentrate, communicate, eat, sleep, interact with others, care for oneself, regulate thoughts or emotions. It is not necessary to stop receiving treatment for the depression in order to get the accommodation. The most important message, over and above being able to keep one’s job, is the need to get treatment for the depression. Depression rarely just resolves on its own. In fact, untreated depression can continue to worsen, further disrupting the ability to perform job duties, and risking serious outcomes, such as suicide. Treatment for depression is available in both outpatient and residential settings, providing many options for getting the appropriate level of care. In most instances, depression is treated with a combination of antidepressant drug therapy and psychotherapy. Antidepressants take 4-6 weeks before being effective, and it may be necessary to try more than one drug before finding the one that offers relief. Therapy helps individuals to process emotional pain or past trauma that might be factors in the depressive disorder. In addition, cognitive behavioral therapy is helpful in shifting negative thought patterns towards more positive self-messaging. Elevation Behavioral Health is a Los Angeles-based residential program that offers intensive mental health treatment. When outpatient interventions have not adequately helped your major depressive disorder, you may benefit from a more targeted treatment plan. Providing deluxe accommodations and a highly attentive clinical staff, Elevation Behavioral Health strives to make the client’s stay a comfortable and healing experience. Elevation Behavioral Health offers a full daily schedule of therapies and adjunctive activities to help individuals struggling with depression reclaim their joy and return to fully functioning at their chosen career. For more information about the program, or to get information about losing a job due to depression, please contact us today at (888) 561-0868. Depression continues to be one of the more vexing mental health disorders, keeping mental health professionals continually seeking out new treatment methods, clinical study results, and brain imaging research to better understand how to tackle it. While the standard treatment protocol for the 16 million individuals diagnosed each year with depression continues to revolve around antidepressant drug therapy, disappointing results with SSRIs has inspired alternative approaches. 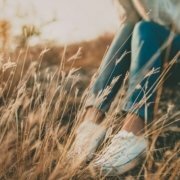 Holistic depression treatment centers are becoming more desirable in the wake of some questioning of the efficacy of antidepressants as the primary method of treating this complex mental health disorder. A number of adverse side effects make these drugs difficult to tolerate, and may only add to the individual’s distress. Now mental health practitioners are embracing holistic therapies and experiential activities, as well as alternative treatment methods, to compliment the traditional treatment interventions. Who Is Likely to Suffer From Depressive Disorder? Depression is the second most prevalent mental health disorder affecting Americans, second only to anxiety disorders. While depression can impact people of both genders and all ages, women are predominantly affected. Women experience depressive disorders at a rate of nearly double that of men, according to the National Institute on Mental Health, with rates of 8.5% for women versus 4.8% for men. Other interesting facts about depression include that the highest prevalence of depression is among the young adult demographic, between the ages of 18-25, and is surprisingly high among adolescents, with 9% of all teens aged 12-17 experiencing a depressive episode. The psychiatrist may use an assessment or screening tools to help in diagnosing the depression, such as the Hamilton Depression Rating Scale (HAM-D) or the Patient Health Questionnaire (PHQ-9). A physical exam can help rule out a medical condition or medications as the cause of the depression symptoms. Holistic depression treatment centers place an emphasis on treating more than the diagnosis. Where the traditional response to treating major depressive disorder might be through antidepressants and psychotherapy, a holistic approach will be more focused on overall wellness using integrative therapies that can enhance the traditional methods. The idea is that the human being is composed of mind, body, and spirit, and when one of those aspects of our being is out of balance or has unaddressed needs, no amount of medication is going to provide wellness. Going hand-in-hand with this holistic treatment approach is a focus on nutrition and exercise. A diet that contributes to optimum brain health will include plant-based foods such as fresh vegetables and fruits, seeds, nuts, legumes, and whole grains. Lean proteins, such as fish, lean beef, and turkey, omega-3 fish oil, eggs, and fermented foods are also beneficial to brain health. Getting regular exercise helps elevate the production of endorphins, the “feel good” brain chemical that can lift mood, improve sleep quality, energy level, and concentration. An array of physical health benefits contributes to general wellbeing, or the “body” component of mind, body, and spirit. The spiritual component is addressed through a variety of holistic activities that can lead to introspection and inner peace, which can result in new emotional breakthroughs in the treatment of the depression. Psychotherapy. Individual talk therapy sessions allow the therapist to guide the individual toward resolving unaddressed emotional issues that may be contributing to the depression. These may involve past trauma, childhood abuse, grief and loss, divorce, and other painful life events. Group sessions. Small groups discuss topics introduced by the therapist and engage in sharing their personal feelings and experiences. This provides a sense of connection with others who are also struggling with depression. Medication. Because antidepressants do help about half of the patients with depression antidepressant drug therapy is still a core treatment element. Adjunctive therapies. If past trauma is a contributing factor to the depression the patient may benefit from eye movement desensitization and reprocessing (EMDR), an exposure therapy that involves the patient following a stimulus back and forth while discussing the trauma with the therapist. TMS therapy is a brain stimulation therapy that has shown to be helpful in correcting neurotransmitter imbalances in the brain and improving depression symptoms. Holistic activities. A variety of holistic and experiential activities are found to enhance relaxation and reduce stress. These include yoga, mindfulness training, massage therapy, acupuncture, equine therapy, deep breathing exercises, art or music therapy, journaling, guided imagery, gardening therapy, and sound therapy. Improving sleep quality has a positive effect on mood. To achieve sounder sleep the individual should attempt to keep a regular sleep schedule, avoid alcohol after 6pm, avoid caffeine after 3pm, avoid meals after 7pm, avoid exercise after 6pm, and avoid screen time (cell phones, tablets, laptops, television) one hour before bedtime. Elevation Behavioral Health is a full-spectrum mental health center providing diagnostic services, residential mental health treatment, transitional housing, and outpatient services. Elevation Behavioral Health believes in a holistic approach to treating depression, and offers core evidence-based therapies, medication management, and holistic activities for a well-rounded program. For more details about our depression treatment program, please reach out to Elevation Behavioral Health today at (888) 561-0868. Anyone who has ever suffered through a bout of intense, prolonged depression can attest to how depleted it makes you feel. In what seems like an instant, you are reduced to a shadow of yourself, so depressed, can’t function, and unable to accomplish even the most mundane tasks. Depression is a potent, often complex mental health disorder that can take even the most high-functioning adults right down into that dark rabbit hole of despair. Eventually, the effects of the major depressive episode will touch all aspects of life. Coworkers will complain that you are not pulling your weight, significant others will feel they are being neglected, and your general health will begin to suffer as well. Depression is a serious mental illness that should not be ignored. Crawling out of that rabbit hole takes effort, something you might not feel you have the ability to muster up. But with expert psychiatric intervention, treatment compliance, and lots of patience, daily functioning will be restored along with your quality of life. Why do some people manage to cycle through emotional setbacks, such as loss and grief, divorce or relationship breaking up, job loss, or financial devastation, while others get stuck and sink deeper and deeper into the grip of clinical of depression? Science is still unclear about the exact cause of major depression. Clinical studies are going, seeking answers through the study of brain chemistry, gut health, and genetic markers. Genetics. Family members who also struggle with depression is a strong indicator that you may also. If you are experiencing thoughts of suicide along with at least four other symptoms for more than two weeks, you should seek professional psychiatric support as soon as possible. When someone is feeling so depressed, can’t function, and is becoming hopeless, all they care about is getting better. Becoming whole again. The traditional treatment protocol for major depression includes a combination of antidepressant drug therapy and psychotherapy. The medication can help stabilize or adjust serotonin levels in the brain chemistry, although several drugs may have to be trialed before finding the one that is most effective in minimizing depression symptom and side effects that are tolerable. Psychotherapy modalities are selected based on the underlying issues. 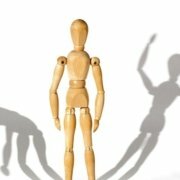 There are exposure therapies for helping those who have experienced trauma, psychodynamic therapy is a deeper dive into childhood issues that might have set up the depression, and cognitive behavioral therapy can help the patient identify irrational thinking that leads to maladaptive behaviors. Adjunctive therapies are a valuable component of depression therapy as well. TMS therapy uses magnetic fields to stimulate underactive brain cells common in depression patients. Eye movement desensitization and reprocessing (EMDR) can assist with trauma-based depression. Holistic therapies, such as mindfulness training, can help individuals can help reduce stress and promote relaxation by shifting thoughts from negative ruminating toward being in the present moment. Lifestyle changes are also an important element in treating depression. Getting regular exercise helps produce endorphins and dopamine, natural mood enhancers. A healthy diet that is high in lean proteins, whole grains, seeds, nuts, and fresh vegetables and fruits is also beneficial to overall mood. Elevation Behavioral Health is a residential mental health program based in Los Angeles. At Elevation, our dedicated clinical staff treats each patient with dignity and respect as we partner with them to help alleviate the symptoms of depression. Using an integrated approach that involves both traditional and experiential treatment elements, Elevation has helped many individuals segue from being so depressed can’t function toward restoring a fully functioning life. For more information about our residential program, please connect with Elevation Behavioral Health today at (888) 561-0868. Children deserve to feel safe and loved while they are growing up. A stable, supportive, and loving environment allows a child to develop trust bonds with their family members, knowing their loved ones have their back as they navigate childhood. For far too many children, this nurturing family life is not their reality. 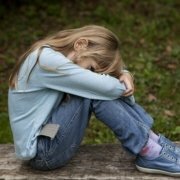 According to the National Children’s Alliance, almost 700,000 children suffer abuse each year in the U.S., with a large percentage of those experiencing neglect. Childhood trauma can take many forms. Physical or sexual abuse, sudden death of a loved one, witnessing domestic abuse, experiencing a natural disaster, surviving a serious car accident, and other intense emotional experiences all constitute trauma. When a child is exposed to a traumatic event it leaves an indelible scar on their psyche, especially when it is a repeated trauma as in ongoing physical or sexual assault. Eventually the child grows up and incorporates the lingering emotional fallout from having been traumatized in their younger years into their adult behaviors and psyche. Childhood trauma PTSD is often the result of unresolved psychological harm. Post-traumatic stress disorder (PTSD) is a debilitating condition that results in maladaptive behaviors in order to cope with the residual pain. Getting to the bottom of the childhood trauma and working through the emotional scars provides the roadmap toward resolving adult dysfunctional behaviors. In response to trauma, children adapt certain methods of coping with its after affects. Depending on the degree of the threat or harm, the developmental state of the child when it happened, the child’s innate ability to cope with adversity, and the child’s support system, PTSD will develop or not. If the child does retain the emotional damage caused by a traumatic event(s) in childhood they will likely carry the residual effects into adulthood. This can result in interpersonal problems and general impairment in daily functioning. Adults with childhood trauma-related PTSD may seek out dysfunctional relationships where past childhood experiences are recreated because that is what feels familiar to them. They may have such a low self-esteem as a result of unresolved trauma that they believe they do not deserve happiness. They may develop a serious substance use disorder as a means of self-medicating their emotional pain. Until the adult with childhood-related PTSD works through their emotional pain with a therapist the disorder will continue to infect their quality of life. When initially seeking help for treating PTSD, the individual may select either outpatient treatment through a private physician or an outpatient mental health program, or a residential treatment program. Often this decision as to where to obtain treatment for PTSD will be determined by the severity of the symptoms, whether there is a co-occurring disorder such as depression or addiction, and personal resources. In treatment for PTSD the individual will engage in psychotherapy. The type of psychotherapy utilized will depend on the features of the PTSD, so it may be psychodynamic therapy, cognitive behavioral therapy, or exposure therapies, or a combination of these modalities. Therapy will likely involve both individual one-on-one sessions and group therapy sessions where the issues related to the PTSD can be discussed and shared with others. In addition, some individuals may benefit from medication, such as antidepressants or anti-anxiety medications. Holistic activities are helpful as well, assisting with stress-reduction and relaxation. Elevation Behavioral Health is a residential mental health center in Los Angeles, California that offers intensive treatment for adult survivors of childhood PTSD. The comprehensive program allows individuals struggling with trauma maladaptation to examine the pain sources and process the disturbing childhood events under the expert care of our compassionate psychiatric staff. Treatment includes intensive psychotherapy, group therapy, holistic and experiential activities, and medication management if applicable. For more information about our treatment program for childhood trauma PTSD, please connect with Elevation Behavioral Health today at (888) 561-0868. Is There a Difference Between Bipolar and Manic Depression? When wondering what is the difference between bipolar and manic depression it can be a bit confusing. These two terms are still used interchangeably, leaving the impression that they are two distinct mental health disorders. In reality, manic depression is the same disorder as bipolar disorder, but happens to be an outdated label. In 1980, the DSM-3 officially reclassified this particular disorder as bipolar disorder. Individuals who struggle with bipolar disorder understand why it was once called manic-depressive disorder, as it manifests itself with features of both clinical depression and mania or hypomania. There are different degrees of severity of the disorder, leading to a total of four types of bipolar disorder to be listed in the DMS-5. Since there is no difference between bipolar and manic depression, let’s push past the labeling and talk about bipolar disorder. Bipolar disorder is a complex mental health disorder that is considered a “mood disorder,” and features extreme shifts between moods and energy levels. Someone with this challenging condition may find that it can impair daily functioning, career stability, and relationships. According to Mental Health America, approximately 3.3 million adults in the U.S. struggle with this mental health disorder in any given year. The intensive mood swings between mania and depression can be very disruptive in daily life, although there may be long periods of calm that separate these mood shifts. While there is no cure for bipolar disorder, there are methods and medications that help individuals manage the symptoms and enjoy a productive life. In most cases, bipolar disorder is first diagnosed in the teen years or early adulthood, although there are cases of it being diagnosed in later years as well. To date, science has not yet been able to identify the exact cause of bipolar disorder. However, there are strong indications that there is a genetic component, as chances of developing the disorder are enhanced if a close family member has the condition. But even so, when studying identical twins there may be one twin with the disorder and the other who never develops it. It is also thought that particular features in brain structure might predispose someone to bipolar disorder, especially in light of traumatic events or intensely stressful life events that might trigger a bipolar episode. Hypomania is a less severe form of mania, with symptoms lasting four days or more but which do not cause severe impairment in daily functioning as mania does. Bipolar I. Bipolar I disorder involves one or more manic episodes, with or without depressive episodes occurring. The mania must be severe enough that hospitalization is required and last a week or longer. Bipolar II. Bipolar II disorder is characterized by the shifting between the less severe hypomanic episodes and depressive episodes. Cyclothymic disorder. Cyclothymic disorder involves chronic mood shifts between depressive and hypomanic lasting more than two years. There may be periods of normal mood as well, but those periods last less than 8 weeks. Unspecified bipolar disorder. Bipolar disorder not otherwise specified is present when the symptoms do not fit the other three diagnoses, but still involve episodes of unusual manic mood. While there is no difference between bipolar and manic depression labeling, both the mania and the depression must be managed. Once the particular type of bipolar disorder is diagnosed, a treatment protocol will be created for the individual. In most cases, a combination of medication and psychotherapy is the first line of treatment. For those who have bipolar I, admission into a residential treatment program or hospitalization is the appropriate level of care. Medication: Psychotropic medications are prescribed according to the predominant features of the bipolar disorder. These may include antidepressants, benzodiazepines, and anti-psychotic medication. Psychotherapy: Talk therapy and group therapy helps individuals process the disruption that their bipolar disorder causes in daily life and find solutions for managing relationships and other stressors better. CBT can assist the individual with shifting pessimistic thoughts that drives irrational behaviors to more optimistic thinking. Family-focused therapy: Stress that is a common feature within families when a member has bipolar disorder can undermine recovery. This involves helping family members learn to communicate better, practice better problem solving skills, and manage anger and conflicts more effectively. Stress-management: Teaching individuals with bipolar disorder to better manage their stress level is intrinsic to a positive outcome. These methods include deep breathing, yoga, and mindfulness training. Medical detox and addiction treatment for dual diagnosis: Substance use disorders often co-occur with bipolar disorder. If so, the individual will benefit from detox and addiction treatment in addition to the targeted treatment for bipolar disorder. Elevation Behavioral Health is a residential mental health program that treats individuals with bipolar disorder. What sets Elevation Behavioral Health apart from other residential programs is its “elevation” of treatment interventions to a more focused and comprehensive level of intensity. At Elevation Behavioral Health, patients find themselves in a compassionate, supportive environment that allows them to heal. Interventions are designed to help stabilize the severity of the mood shifts, to learn new ways to recognize and manage oncoming symptoms, improving their level of functioning at school or work, and teach them methods to reduce stress and promote relaxation. For more information about whether there is a difference between bipolar and manic depression, or any other questions, please contact Elevation Behavioral Health at (888) 561-0868.
https://elevationbehavioralhealth.com/wp-content/uploads/2019/01/difference-between-bipolar-and-manic-depression.jpg 366 550 Marissa Maldonado https://elevationbehavioralhealth.com/wp-content/uploads/2018/12/logo_ebh.png Marissa Maldonado2019-01-09 00:53:022019-01-09 00:53:02Is There a Difference Between Bipolar and Manic Depression? Anyone who has struggled through a period of deep melancholy can attest to the intense power of emotions it triggers. We all suffer the occasional emotional fallout associated with difficult life events or circumstances. Pain endured from loss of a loved one, a divorce, loss of a job, diagnosis of a serious medical condition, or a broken heart can sideline us for a period, these phases commonly referred to as “the blues.” Most will manage to wind through the disappointment, fear, or sadness and the low mood will eventually stabilize with no intervention required. For others, a cluster of pronounced symptoms may linger long after the triggering event, refusing to let up no matter how much time has passed. Depression can cause severe fatigue, impairing the person’s ability to function at work or at home. Even getting out of bed is a chore for those with serious depression. When depression becomes debilitating it is important to ensure the person is receiving the professional treatment they need, as an increased risk of suicide can develop. Treatment for major depressive disorder must involve an integrated program that includes both traditional evidence-based therapies and medication, as well as holistic and experiential activities that enhance the treatment process by complimenting psychotherapy. Depression can be successfully treated and managed with the right combination of interventions. Although major depressive disorder (MDD) affects about 16 million U.S. adults per year, only a small percentage of people actually seek out treatment. A stubborn stigma still surrounds mental health conditions, including depression, acting as a barrier to getting help. Some people may not know where to even begin to get help and instead continue to suffer in silence. As a result, some may begin to use alcohol or drugs to self-medicate as a means of masking the unbearable depression symptoms. The cause of MDD is still widely unknown, although science has identified several potential factors in developing clinical depression. These include genetics, temperament, environmental factors, and brain chemistry/biology. A dual diagnosis, which indicates a co-occurring substance use disorder, is present in a significant number of individuals who suffer from depression. This may come about when the individual begins to use the substance in order to find relief from the symptoms of MDD. Alcoholism is the most common coexisting disorder with MDD, only adding to the person’s misery. Alcohol is a central nervous system depressant, so instead of helping the individual, it only increases the intensity of their symptoms while also adding profound health risks. A dual diagnosis creates a more complicated treatment strategy. It is now believed that, to achieve the best long-term treatment outcome both disorders, the MDD and the alcoholism, should be treated simultaneously. Dual diagnosis treatment requires specialized training, so treatment should be sought at dual diagnosis program when depression presents with a coexisting substance use disorder. There exists an industry standard within the field of mental health treatment for treatment of MDD. This traditionally includes both antidepressant therapy and psychotherapy. Antidepressants are plentiful, with about thirty different brands on the market for treating depression. Initially, a doctor will take a leap of faith in prescribing antidepressants for a patient, using their training and treatment criteria to select the medication best aligned with the patient’s needs. Antidepressants can take upwards of four weeks to begin to take effect, which can be frustratingly slow. If one drug does not show promise, the doctor will have the patient trial another drug, or may just adjust the dosage. Psychotherapy involves talk therapy and is available in various modalities. Generally, in treating individuals with MDD, mental health practitioners may select a behavioral-based therapy like cognitive behavioral therapy (CBT) or dialectical behavior therapy (DBT), or a cognitive-based therapy such as psychodynamic therapy. There are two main functions of psychotherapy for the depressed patient, to help them explore potential underlying pain points, such as a past trauma or other distressing life event, and to help the patient reshape their internal thought-behavior messaging and responses. When depression becomes debilitating, it is in the complimentary therapies that the most yardage is gained. That is because these holistic activities help the individual gain a deeper perspective into their spiritual being, discovering new insights about themselves that can become therapeutic breakthroughs. These activities include such things as mindfulness training, guided meditation, yoga, journaling, art therapy, and massage therapy. In addition to the experiential activities, overcoming depression is enhanced by regular cardio exercise, such as daily walks, dance cardio, hiking, cycling, swimming, or running. Couple exercise with a nutritious diet of lean proteins, leafy greens, fresh fruits, whole grain breads and pasta, seeds and nuts, as this Mediterranean diet will promote improved brain health. Elevation Behavioral Health is a luxury residential mental health and dual diagnosis treatment center in Southern California. Nestled in a tranquil canyon above Malibu, California, Elevation Behavioral Health provides an intimate six-bed setting for individuals in need of healing from depression, instead of an cold, institutional setting. The spacious and beautiful 10,000 square foot home features unmatched luxury in both the interior and exterior grounds. This mental health and wellness program for depression or dual diagnosis is built upon a foundation of proven therapeutic modalities, such as CBT and DBT. Added to that are holistic therapies, such as yoga, mindfulness training, and meditation, to offer a fully integrated approach to depression treatment. When depression becomes debilitating, a serene, relaxing environment, compassionate therapists, and upscale accommodations can go a long way toward reintroducing joy in life. For more information, please contact Elevation Behavioral Health today at (888) 561-0868. Anyone who has suffered through a traumatic event knows the lasting impact it can have on your mental state and your daily life. When a trauma occurs, such as the sudden death of a loved one, a serious accident, physical or sexual assault, living through a natural disaster, or a trauma related to combat, it imprints deeply on the memory and the soul. While most people will eventually process the painful emotions and move forward, others may remain stuck in the distressing memories and pain of the trauma. As a result, some of these individuals may find themselves turning to alcohol or drugs to help them relieve the emotional pain, depression, and anxiety that they live with. Some may find that they struggle to function at work or struggle socially due to the lingering effects of the trauma. These individuals are suffering from post-traumatic stress disorder (PTSD). Thankfully, there are highly effect treatment strategies that can help manage the symptoms of severe PTSD. PTSD is a mental health disorder within the anxiety disorders spectrum. It can result after experiencing or witnessing a deeply traumatizing event. After being exposed to the trauma, those with PTSD continue to experience troubling after effects for a period lasting more than a month afterward, or will experience the symptoms of PTSD as a delayed response, sometimes months later. For many years, it was thought that PTSD only pertained to veterans who had experienced horrific events in combat, coming back emotionally scarred. While veterans have higher rates of PTSD, with rates ranging between 10-30% depending on the war itself, PTSD is an anxiety disorder than impacts about 8% of the population at large, according to the National Institute of Health. Intrusive memories. Unwanted thoughts or memories of the trauma are experienced repeatedly thought flashbacks, vivid memories, or nightmares. Avoidance. In order not to trigger the distressing emotions of a past trauma, someone with PTSD will avoid any people, situations, or places that might trigger the disturbing memories. They will avoid discussing the trauma as well. Hyper-arousal. The individual will be jumpy, easily irritated, is quick to anger, easily frightened, has an exaggerated startle response, and may suffer from insomnia. Substance abuse may be used to self-medicate these anxiety symptoms. Negative thoughts. People suffering from PTSD may display a sense of hopelessness and negativity in their demeanor, and talk down about themselves. They may exhibit negative emotions such as anger, guilt, shame, and fear. They may struggle with relationships. A dual diagnosis is present when the PTSD, as a stand alone mental health disorder, is coexisting with a substance use disorder. The use of alcohol and benzodiazepines is a common method of self-medicating the distressing symptoms of severe PTSD. Unfortunately, as tolerance to the effects of the substance increase and consumption increases with it, addiction can develop. This only creates a more complicated treatment picture for individuals who are already struggling with PTSD. When a dual diagnosis exists, it is important to seek the professional help of a treatment provider that specializes in dual diagnosis. Both the PTSD and the substance use disorder should be treated simultaneously to effectively treat the individual and obtain a successful recovery result. How is Severe PTSD Treated? PTSD is treated with a combination of medication and psychotherapy. Antidepressants or anti-anxiety drugs can help mitigate the intensity of the PTSD symptoms. These drugs can ease the fight-or-flight response that is so common in PTSD as well as allow for more restful sleep. Antidepressants used to treat PTSD include Prozac, Zoloft, Paxil, and Effexor. Anti-anxiety medications are from the benzodiazepine group of drugs and may include Ativan, Xanax, Klonopin, or Valium. Psychotherapy can be very effective in helping individuals with PTSD, especially cognitive processing therapy (CPT), cognitive behavior therapy (CBT), and prolonged exposure therapy. These types of therapy help the individual systematically process the traumatic event over a course of treatments while also working through the associated emotions and fears that are present. Adjunctive therapies have also proven effective in enhancing the effects of the psychotherapy. Eye movement desensitization reprocessing (EMDR) involves the individual following a moving object with their eyes while discussing the traumatic event is discussed and processed. Transcranial magnetic stimulation (TMS) is a brain stimulation technique that has demonstrated promising results for treating people with TMS. Some experiential therapies, such as equine therapy, mindfulness exercises, or guided meditation have also been helpful for those with PTSD. Lifestyle changes can also be effective in helping individuals with PTSD. Reducing stress by making a career change or moving on from a dysfunctional relationship can help with the anxiety symptoms. It is important to recognize what areas in one’s life are contributing to excessive stress or anxiety, and to make a change. Getting regular exercise, especially cardio workouts, can help reduce stress and induce relaxation and improved sleep quality. These might involve a brisk daily walk, hiking, a spin class, dance cardio workouts, jogging or running, swimming, or cycling. Practicing stress-reducing activities, such as taking yoga classes or enjoying massage therapy, can also help improve overall mood and wellness. Eating a nutritious diet is also important in PTSD recovery. Limiting caffeine, sugar, and starchy foods can help regulate blood sugar and jittery behaviors. Eating a diet rich in lean proteins, green leafy vegetables, whole grain breads and pasta, and nuts and seeds will provide the body and brain with essential nutrients for optimum mental health. Elevation Behavioral Health is a leading dual diagnosis and mental health treatment provider in Los Angeles, California. Elevation Behavioral Health is an inpatient, private treatment facility overlooking the beautiful Agoura Hills landscape. In this luxury, intimate setting, individuals with PTSD or a dual diagnosis will receive the most effective therapeutic interventions within a compassionate, nurturing environment. For more information about how Elevation Behavioral Health can help you overcome PTSD, please call us today at (888) 561-0868.